Click HERE for a FREE quick quote and consultation. At the Law Office of Kelly B. Myers, our main priority is the interest of our clients. We are here to cater to your unique legal needs. In every situation, we strive to ensure the best possible outcome for our clients. We know that just as no two people are the same, no two cases are the same. Whether you require help with a traffic ticket, a simple divorce, a comprehensive estate plan, or Kids Protection Planning, we will review your history, your priorities, and your timeline to provide the highest quality legal services. For some clients, it is important to have their legal issues resolved as soon as possible. For others, busy schedules leave little time to appear in court or meet in our office. We will work with your schedule to ensure the legal process is as painless as possible. We are conveniently located at Lake Norman, off of West Catawba Avenue in Cornelius. While we primarily practice in Mecklenburg, Lincoln, and Iredell Counties, we serve diverse clients from all over North Carolina and the United States. In many of the matters we handle, the client never has to go to court and office visits are generally unnecessary or minimal. We maintain flexible hours to ensure that our busy clients can meet with us where their schedule allows. We know that you have a busy life to live and will work with your unique circumstances to efficiently, effectively, and affordably cater to your legal needs. 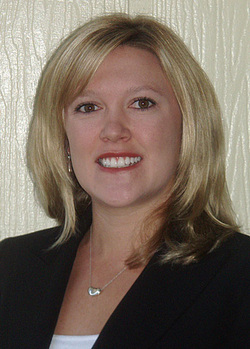 Kelly Myers is a Lake Norman Lawyer practicing in Mecklenburg County. Her Cornelius traffic ticket practice focuses on Mecklenburg County speeding tickets and infractions. Her Personal Family Law practice offers unique comprehensive estate planning, Kids Protection Planning, and an ongoing relationship to ensure that your plan continues to work for you. Attorney Myers' Lake Norman Divorce practice focuses on separation agreements and absolute divorce. As a Lake Norman Attorney, Mrs. Myers has experience with boating law citations and infractions. Links that may appear on this site are intended solely for your convenience in identifying and accessing other sources of information, and are not to be construed as being endorsed by or affiliated with our office. Furthermore, the Law Office of Kelly B. Myers does not imply that it is legally authorized to use any trade name, registered trademark, symbol, logo, or seal that may be reflected in any of these links. The Law Office of Kelly B. Myers in no way seeks to use this website in any way as to represent anyone outside of the state of North Carolina or where this site may fail to comply with any laws or ethical requirements. "Kelly handled my traffic case with attention to detail and care coupled with outstanding communication. I felt she patiently handled my case in the same way she would for a family member. Thank you, Kelly!"